To become a certified Vijñāna Yoga teacher, the student must complete an internationally recognized Vijñāna Yoga Teacher Training. After training 3 years and passing evaluations the student will receive a Vijñāna Yoga teacher diploma. Practice is the heart of yoga. Integrating the practice is an ongoing process. 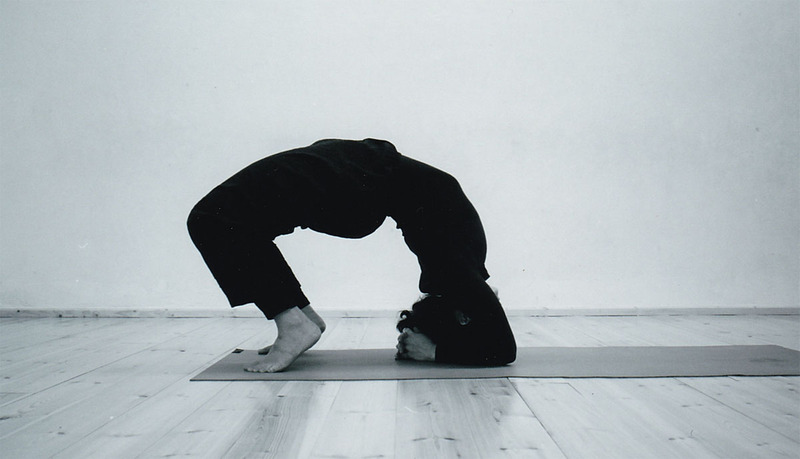 It is important that students have a minimum of two years of yoga practice before enrolling in the teacher training. The course takes at least three years to foster a gradual process of learning and deepening the understanding of the principles and the forms. The course includes 800 hours of study and three retreats. training/practice 490 hours Sitting (90 hours), Pranayama, Vayus and Kriyas (110 hours), Asana: complete study of Intermediate Practice Manual (290 hours). Teaching methodology 140 hours Includes principles. How to demonstrate a pose, teach thru explanation, observing and correcting students verbally and manually. Learning how to build a class and how to structure a yearly program designed for students of different levels and needs. qualities of a yoga teacher 10 hours As outlined in classical texts and adapted to our times. Outlining the gradual process of becoming a teacher. Discussing the behavior of a teacher in and out of class. Anatomy & physiology 50 hours In case the course itself does not provide these hours, you need to study them independently. This includes 25 hours of basic anatomy and another 25 hours of Pathology. Yoga philosophy 60 hours Yoga Sutras, Upanishads, Bhagavad Gita, Hatha yoga classics, Aurobindo. Practicum 50 hours Includes practice teaching, receiving feedback, observing others teaching and hearing/giving feedback. Also includes assisting students while someone else is teaching.